Photographed here is the proud new owner of a brokerage 55’ Ocean Alexander, en route from New York to Fort Lauderdale, shipping to the Pacific Northwest. 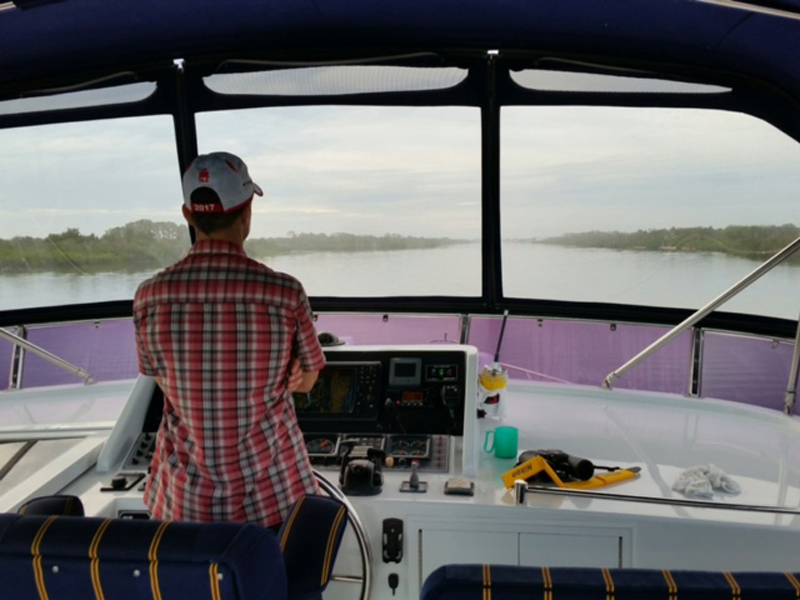 Her original owner, working with Outer Reef Yachts' Joel Davidson decided to move into a new Outer Reef 700 Motoryacht. Joel Davidson and Irwin Yacht Sales/Outer Reef Yachts Representative Matt Maynard successfully sold this brokerage Ocean Alexander. A special thank you to Captain John Dennison at Outer Reef Yachts. 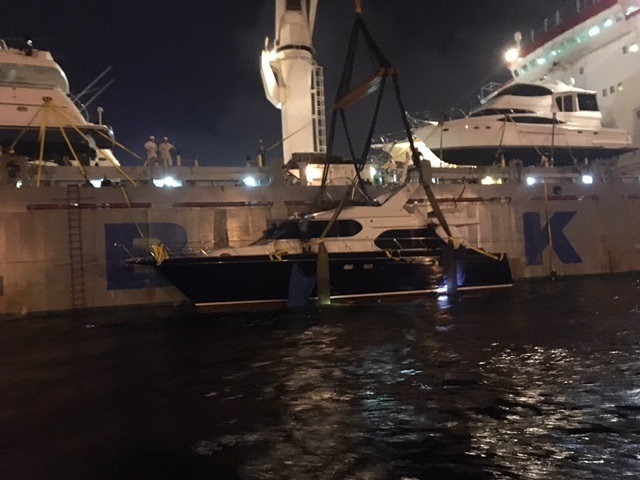 John ensured the 55’ Ocean Alexander arrived on time and safely on the trip from NY to Fort Lauderdale, FL.